AUSTIN, Texas, Mar. 05 /CSRwire/ - In recognition of the growing momentum behind Invention Education, The Lemelson Foundation, a leading funder dedicated to advancing invention in service of social and economic change, will join with partners to discuss this new educational paradigm for the first time at SXSW EDU 2019, March 4-7, in Austin, TX. The programming, consisting of three interactive sessions, will be open to the more than 15,000 expected attendees of SXSW EDU. In today’s rapidly changing world, inventive thinking and inventing new solutions are economic and social imperatives. The education community, policy makers, and corporate leaders all cite the need to increase the innovation and innovator capacity in the U.S. in order to advance social and economic opportunity domestically and abroad. 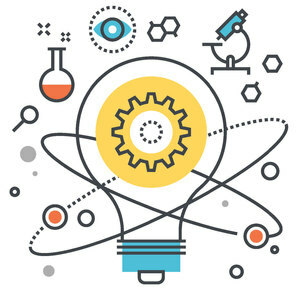 Invention Education represents a new education paradigm that draws upon Human-Centered Engineering Design and the Scientific Method, among other disciplines. Hands-on, self-directed learning coupled with practical application of design and STEM principles are essential for building invention skills. Invention Education encourages problem identification, experimentation, collaboration, critical thinking, and hands-on engagement to create new solutions with social purpose. The goal is to enable students to lead creative and inventive lives, with the confidence to make informed choices and take action to solve the problems they encounter to improve not only their lives, but also the lives of others. Students are also encouraged to integrate entrepreneurship thinking in order to learn how to translate their ideas into businesses with economic impact. The Lemelson Foundation is part of a growing coalition that supports the promise of Invention Education, including partner organizations at MIT, the Smithsonian, The Henry Ford STEMIE Coalition, the Society for Science & the Public, Maker Ed, and many others. Learn more about the transformational power of Invention Education by visiting http://www.inventioneducation.org. Based in Portland, The Lemelson Foundation uses the power of invention to improve lives. Inspired by the belief that invention can solve many of the biggest economic and social challenges of our time, the Foundation helps the next generation of inventors and invention-based businesses to flourish. The Lemelson Foundation was established in the early 1990s by prolific inventor Jerome Lemelson and his wife Dorothy, and continues to be led by the Lemelson family. To date, the Foundation has made grants totaling more than $210 million in support of its mission. For more information, visit www.lemelson.org.